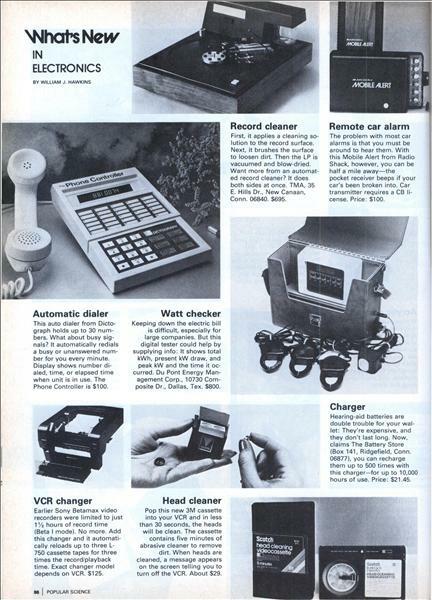 A picture roundup of new products and developments. Advanced-design features A drag-reducing front spoiler on Volvo's "concept" car retracts automatically at speeds under 40 mph, when it has little aerodynamic effect and could be damaged by curbs or deep snow. 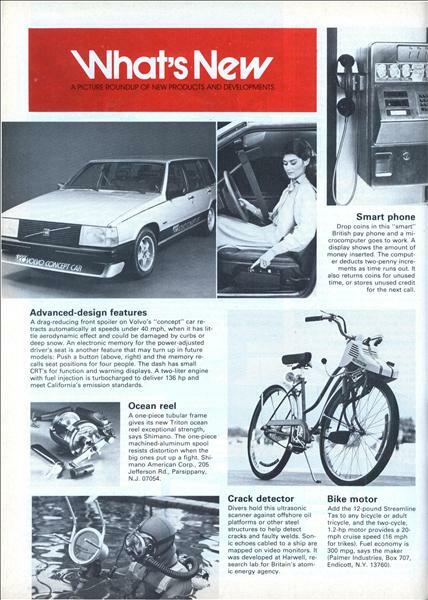 An electronic memory for the power-adjusted driver's seat is another feature that may turn up in future models: Push a button (above, right) and the memory recalls seat positions for four people. The dash has small CRT's for function and warning displays. A two-liter engine with fuel injection is turbocharged to deliver 136 hp and meet California's emission standards. 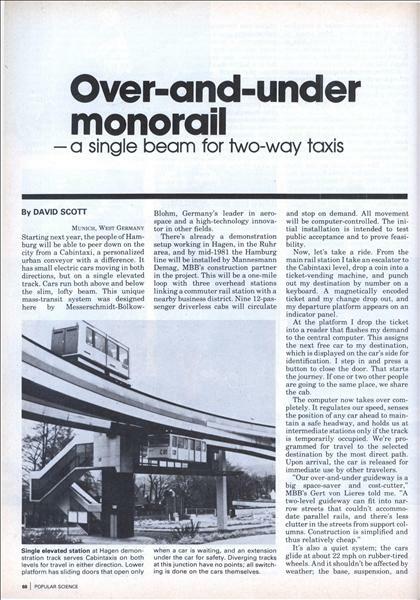 By DAVID SCOTT Munich, West Germany Starting next year, the people of Hamburg will be able to peer down on the city from a Cabintaxi, a personalized urban conveyor with a difference. It has small electric cars moving in both directions, but on a single elevated track. 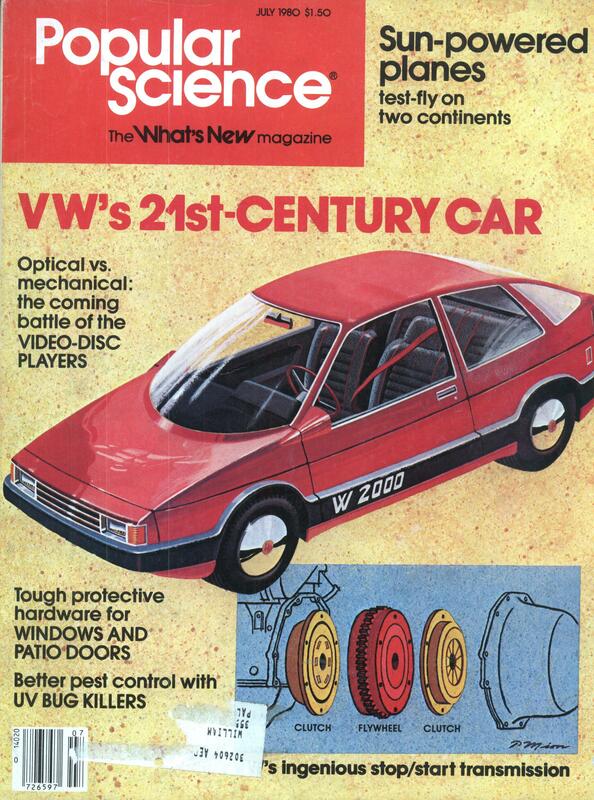 Cars run both above and below the slim, lofty beam. 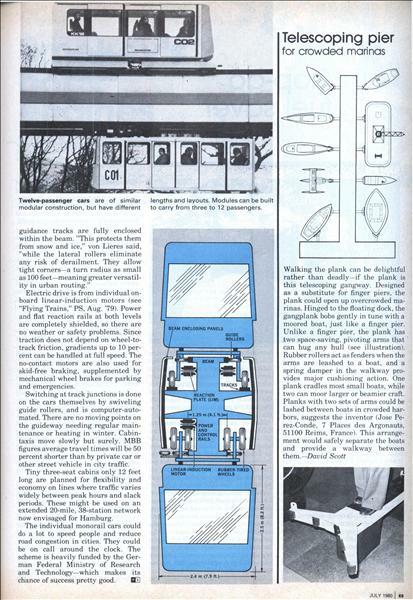 This unique mass-transit system was designed here by Messerschmidt-Bolkow-Blohm, Germany's leader in aerospace and a high-technology innovator in other fields. 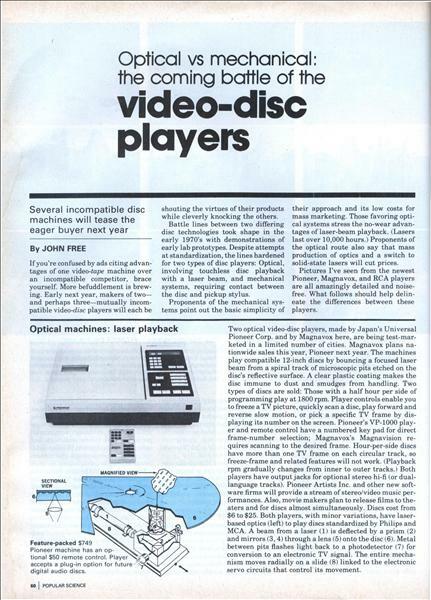 Several incompatible disc machines will tease the eager buyer next year By JOHN FREE If you're confused by ads citing advantages of one videotape machine over an incompatible competitor, brace yourself. More befuddlement is brewing. Early next year, makers of two— and perhaps three—mutually incompatible video-disc players will each be shouting the virtues of their products while cleverly knocking the others. 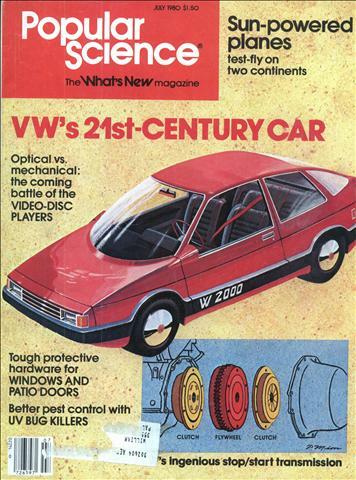 Battle lines between two differing disc technologies took shape in the early 1970's with demonstrations of early lab prototypes. 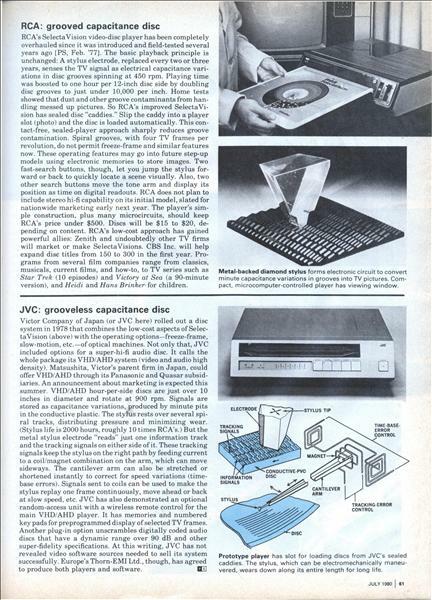 Despite attempts at standardization, the lines hardened for two types of disc players: Optical, involving touchless disc playback with a laser beam, and mechanical systems, requiring contact between the disc and pickup stylus.